When Christina Gilman took her teenage son to a doctor's appointment last week, a banner she hadn't seen before appeared on the TV screen in the waiting room. "For your safety and ours, please limit the discussion with your provider to one issue per visit," the message said. It then went on to encourage patients to book a followup appointment. That's because for Gilman, who lives in Brantford, Ont., a doctor's visit often isn't that simple. Her four children have a wide range of complex medical issues, including dyslexia, autism spectrum disorder, mental health issues and recovery from leukemia. "I'm always at the doctor's," she said. "I've never seen my Twitter explode so much," she said. Some doctors questioned whether restricting access was ethical, while others defended the practice in the interest of other patients who are waiting to be seen. There were also questions about what the "safety" issue was exactly. Gilman, who has been involved in patient advocacy in Ontario, said the first question that popped into her mind was, "Did they switch billing practices?" Indeed, the "one issue per visit" issue has been around for a long time and is widely regarded as a symptom of the fee-for-service system — where physicians bill the government per appointment rather than draw a salary. It's the way more than 70 per cent of Canadian doctors are paid. A family doctor is generally paid between $30 to $40 per patient for a regular visit. In 2012, Manitoba's College of Physicians and Surgeons — the provincial licensing and disciplinary body for doctors — even urged caution over the "one issue per visit" approach after a doctor allegedly refused to hear a woman's complaint about chest pains because they had already discussed another issue. A week later, she had a heart attack and died. In 2016, the College of Physicians and Surgeons of British Columbia also weighed in, discouraging its physicians from posting such signs and warning that a doctor can't use "one issue only" as a defence if a patient files a formal complaint about poor care. The Canadian Medical Protective Association, which represents doctors in legal matters, also warned that such a policy could be "risky" because it forces patients to "triage their own symptoms without the knowledge, skills, and judgment to do so." 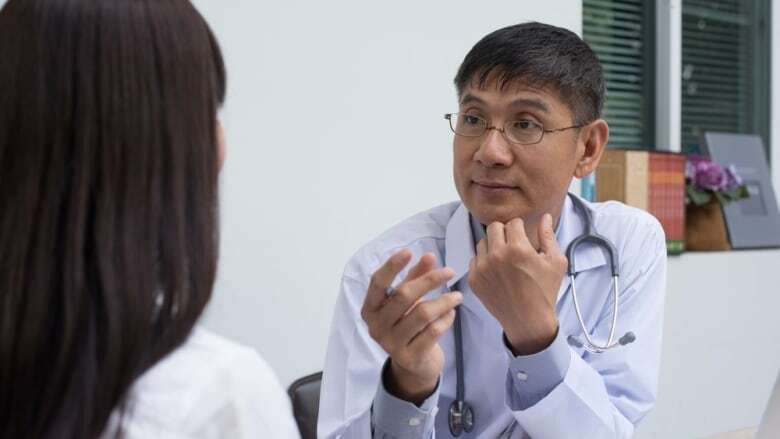 Gilman suggests there could be a "happy medium" if patients could be encouraged to be more organized about what they want to discuss before a visit, and if family physicians could be more understanding. But Dr. Kevin Martin, a family physician in Nanaimo, B.C., said if he addressed every issue each of his patients brought to appointments, it would not only be unfair to others in the waiting room, but wait lists would grow and his clinic couldn't afford to operate based on how much he bills the province for his services. "That appointment, which was booked for 20 minutes, ended up taking an hour and a half," he said. At least a third of the work I do as a GP on a daily basis could be done by other people," Martin said. "I'm not a social worker. I'm not a counsellor. - Dr. Kevin Martin, a family physician in Nanaimo, B.C. While Martin doesn't specifically refuse to address multiple problems, he prefers to focus on the most urgent matter, he said. Besides being annoying to some of his patients, he acknowledged that the approach raises "a big ethical question about rationing health care in a public system" and whether patients are being denied treatment as a result. One solution some provinces have tried is to create a more flexible compensation system for doctors, featuring a mixture of salaries and fees that can help physicians spend more time with patients. Another is Ontario's "team practices" approach, which helps social workers, dietitians and counsellors working with family doctors to join forces in the same facility. "At least a third of the work I do as a GP on a daily basis could be done by other people," Martin said. "I'm not a social worker. I'm not a counsellor."